Every Monday and Friday Bradley guides our guests through some of Philadelphia’s most haunted spots. 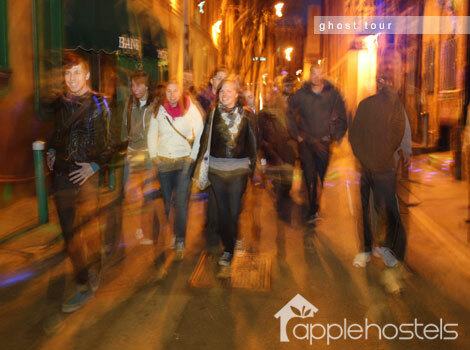 Visit some scary sites to hear Philadelphia’s haunted stories, experience Philadelphia’s historic buildings by moonlight and wander with Bradley through the cobblestone streets of Old City to hear about Benjamin Franklin’s ghost. Date Details: Meet in our lounge at 8:30 pm!